How do you consciously create a place for your people, when a "workplace" is not the first thing on your mind? How is the London tech ecosystem evolving and can we expect entrepreneurs to be the leaders of big companies? 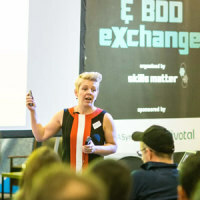 Elizabeth Varley- founder of TechHub, will be answering all these questions and any more that you may have in a cosy fireside chat. 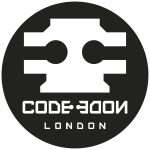 Don't miss this chance to learn about leadership in London's burgeoning tech ecosystem! Elizabeth is a serial entrepreneur and founded TechHub, the community for high-growth tech companies. TechHub has worked with thousands of companies to help them scale. TechHub member companies have been acquired by Google, Facebook, Twitter, Oracle and Microsoft among others, and have raised over $1billion in funding. TechHub also helps corporates like Google and BT access innovation culture and to work with startups to solve business challenges or develop new products. Elizabeth recently announced TechHub's new London project that brings together it's 400 companies in one place. They have room for a few more and welcome tech product startups of 1-30 people and has created extra spaces for scale-ups of 30-60 people. Book a tour if you'd like to take a peek.